Iconic music magazine NME is to be given away free, with a new focus on an ad funded model and more engagement with users on new social platforms. The move comes after circulation for the 63 year-old title slumped to below 15,000 paid copies. Owners Time Inc UK said more than 300,000 copies will be distributed nationally through stations, universities and retail partners. The NME, the last of the old-school music weekly papers, enjoyed a circulation peak of 300,000 in the late 70s. Sales of the magazine, which helped launch the careers of bands including The Smiths and Oasis, crashed over the last decade with fans migrating to alternative digital sources of music news. 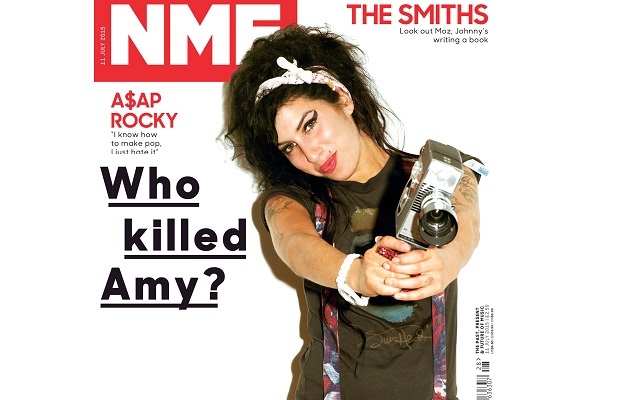 The first free NME will be distributed on September 18. Time Inc UK called the move “the latest stage in its evolution as an audience-first global media business” alongside its NME.COM website. Music will be downgraded in the new offering, which will be a “gateway into a wider conversation around film, fashion, television, politics, gaming and technology,” the company said. Marcus Rich, chief executive of Time Inc. UK, said: “This famous 63 year-old brand was an early leader in digital and has been growing its global audience successfully for the best part of 20 years. NME.com launched in 1996 and was one of the world's first music news websites. Now, through NME's digital platforms, social media channels and weekly magazine the brand reaches 3.9 million people every week. Mike Williams, NME editor, added: “With this transformation we’ll be bigger, stronger and more influential than ever before. Every media brand is on a journey into a digital future. The publication, which was launched in 1952, now boasts a UK circulation of 300,000 copies.